There are a bunch of options within Microsoft's services when it comes to trying to find people and their contact details. Each of the out-of-the-box experiences has its advantages, or disadvantages depending on what you are trying to achieve. 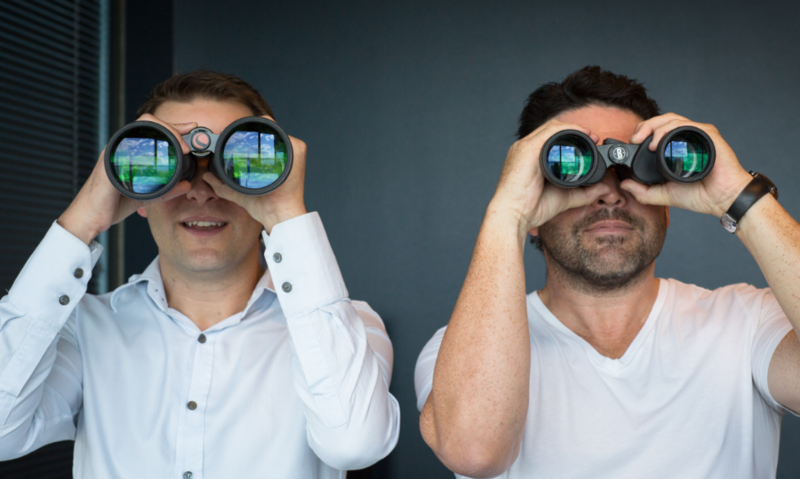 In this blog we take you through what's possible when it comes to finding the right person across Outlook, Office Delve, SharePoint, Teams, and Skype for Business. This is the quickest and easiest way to find a contact. The Search People pane is available on the Home tab. 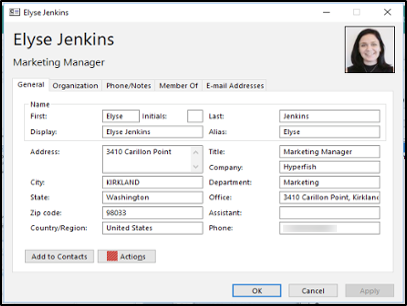 Simply start typing the first few letters of the person's first name or email address - Outlook with refine the results as you type. When you select the To, Cc, or Bcc buttons in a new message, Outlook will display your default address book. To search, type part of the contact's name in the Search box and then select Go. You can select the More columns radio button to search by other fields, including department, phone, and location. The People icon in the bottom right corner allows an additional People search option, either via the pop up or by clicking through to the full Search Contacts page. This Search Contacts box allows for searches by phone numbers, addresses, company names, and more. to start conversations with them. Provide the ability to search not only the corporate directory (Global Address Book) but also your own contacts that are stored personally in your exchange mailbox (often this is sync’d from your iOS/Android contacts). Ability to narrow your search via the Search Tools tab, including refining your search to people who have phone numbers or other specific types of information. You can also see recent searches and build advanced search refiners across more properties than the address book. Contact cards in Outlook are quite comprehensive in terms of the profile information it presents. Ability to start a call with person via click-to-call, start and email, or start an instant message (IM) conversation with person from the contact results via method 1 or the pop-up in method 3 (See left hand image below). in the top left will only search inside the names of contacts so searching for "sales" will not return all people with the department name of "sales". SharePoint is the most feature-rich Microsoft service when it comes to people search. People Search in SharePoint is accessed entering your search term in the enterprise search box and filtering it by clicking the People search vertical. The profile information accessible in SharePoint is the most comprehensive including Skills, Past projects, and Education. SharePoint can be configured to display custom profile information. Basic Search will provide matches across all attributes. SharePoint is the only product that provides best bets for search terms. SharePoint supports phonetic, fuzzy, and nickname searching. The SharePoint extensibility models allow you to fully tailor the search experience. There are a number of prerequisites in order for people search to function as intended. For Online and Hybrid organizations the full profile accessible from SharePoint is an employee's Delve profile. See below for limitations around the Delve profile page. 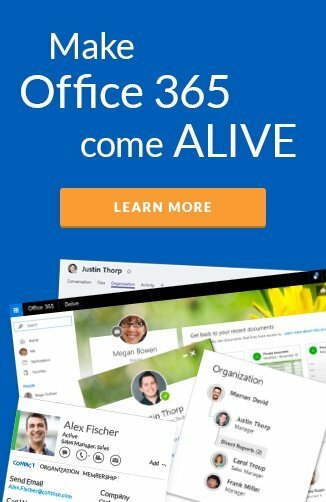 Delve was the first interface in Office 365 to focus on the power of the Microsoft Graph. Delve users can use the people search and discovery feature to find colleagues. The comprehensive profile information that is stored in Delve also allows for searches by skills, past projects, and education. The search works across many indexable attributes in people's profiles. 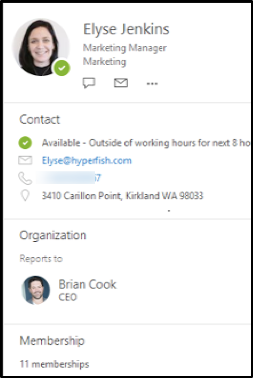 Like SharePoint the contact details presented in Delve are the most comprehensive in terms of profile information including Skills, Past projects and Education. Delve users can modify their profiles to present additional information about themselves, such as past projects and skills. Allows for phonetic searching which works as you type in the search bar, not in the result. Unlike SharePoint, Delve does not allow for customization of the profile page to display custom profile information. Does not allow for advanced search criteria, search result refiners, nor best bets for search terms. It has not evolved much since launching in 2015. Skype for Business is focused on delivering a professional online meetings and IM with a few clicks. From our research, this is the second most popular way to discover people. The calling and IM functions take center stage and accessing more in-depth profile information about your contacts is less of a focus. Very simple and intuitive people search. Allows for searching of your contacts external to your organization, as well as those internal. Provides the ability to search for and connect with parties external to your organization who also use Skype for Business and have enabled this in their security settings (works best when you know their exact email address). Is aware of employee's presence, making it easier to connect with people when they are free and not bug them with IM or call when they are busy. The functions Add to Favorites or Add to Contacts List make it easy to locate and engage with regular contacts (rather than having to search for them each time). The search experience only allows to search by name. Hovering over the results does not bring up a contact cards, you need to right click on the contact and go to bottom of the drop-down list to access their full contact card. Personally, I find it frustrating that as soon as you click away from a contact card it disappears, making it challenging to copy details to document or other location. 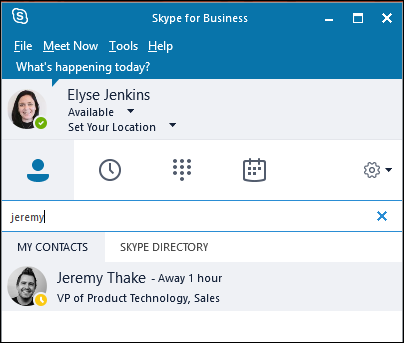 Contacts are not pre-populated when you login to Skype for Business, you need to use the Add to Favorites or Add to Contacts List. A nifty work around to this has been shared in this Microsoft Tech Community post. 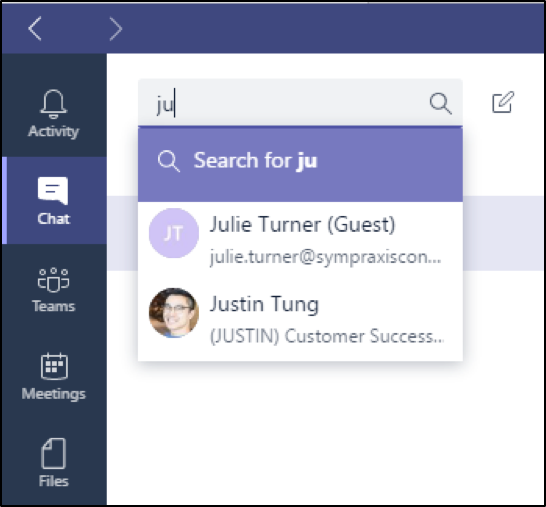 As most of you are aware Microsoft Teams is slated to replace Skype for Business in the future. Despite being the newest service Teams does not yet offer much additional people search capability beyond what Skype for Business has offered for years. The organization chart view that is much more visual than Outlook and Delve. It shows both manager, reports, and people in the same team (i.e. also report to same manager). 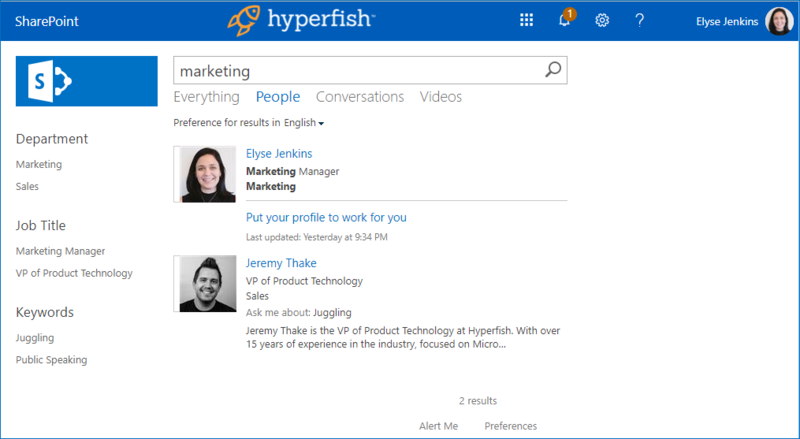 Employees can start a new email, IM, voice or video call with one click from another employee's profile page. The Who bot is the biggest win in terms of people search in Teams. The Who bot is powered by the Microsoft Graph and allows you to search for people in your organization by name or topic. Profile information is limited to First name, Last name, Title, Department, Office, Manager and Business Phone. Does not allow for customization to display custom profile information. To wrap it up, the good news is there are lots of options available when it comes to searching and connecting with people, no matter what Microsoft service/s you are using. All offer basic first and last name searches, whereas SharePoint is currently the leader when it comes to more in-depth people search functionality, results, and the ability to customize. We will certainly be watching this space for any changes. If you have any opinions on what works best for you and your organization, we'd love you to share in the blog's comments. Effective people search, allows all employees to find the people and skills they need to get their job done. 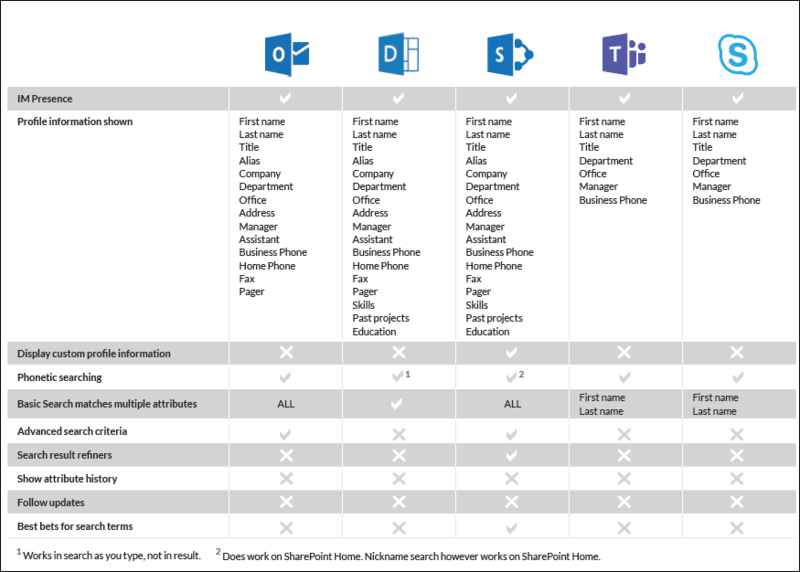 There are many options out of the box across Microsoft services but if you want to take things to the next level - you might want to check out our comprehensive guide to build your own SharePoint or Office 365 Employee Directory. The guide includes step by step instructions to build an employee directory in that works with SharePoint Server 2010 onward and Office 365 SharePoint Online.